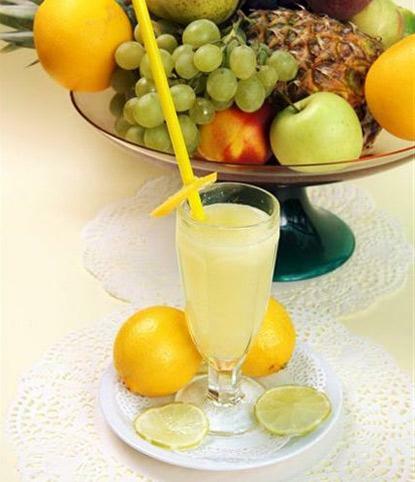 Lemonade is the name given to the different types of juices. In the United States, Canada and Denmark, lemonade refers to not carbonated drink with sugar and water. 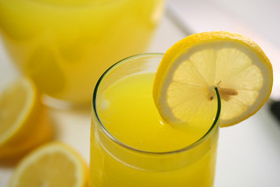 In the UK, Australia, Switzerland and New Zealand, the term refers to the colorful, lemon-flavored soft drink. In India limonade (also known as “limbu paani”, refers to not carbonated drink with lemon juice, sugar and water, in which sometimes is added salt. Get a zest grater or just a cheese grater, take 2 lemons and grate it with the grater, the third lemon peel into spirals and place it in one bowl. Drain the lemon juice from the lemons and mix it with honey, add the lemon zest, cover it and leave it for 1 hour. Drain the mixture (lemon juice,honey and lemon zest) and then take medium-sized cup and fill it to half with lemon juice and the rest with mineral water. Enjoy in this refreshing healthy juice! Cabbage - Natural Cure For Stomach Ulcer!